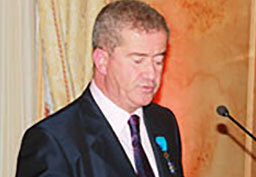 Alain Taieb, CEO of AGS, received the insignia of Chevalier of the National Order of Merit, Monday, 8 November. This insignia salutes outstanding economic success of a company and the commitment of a man. A family business founded in 1974, AGS became in the space of 36 years, the first French company specialising in removals and relocation of people worldwide, thanks to a proactive and innovative development strategy. Started with only a few employees in Paris, it became a group of approximately 1700 employees around the world. Despite the current economic climate, AGS continues to invest for the future. Located in 75 countries, AGS relies on a strong international network of 125 branches, complemented by over 300 agents and partners to ensure its development outside France. Building on current success, the group will soon open branches in Japan and the United Arab Emirates, and will double its number of branches in China. Convinced that Africa is the continent of the twenty-first century, AGS will strengthen even further its position on the continent from 2011. Economic development, responsibility and values. The company has conserved its original family spirit and remains true to its values: quality, performance, innovation, and respect for people and the environment. The objective of fair and responsible development is central to the Group’s strategy and solidarity is the fundamental principle of its management. AGS especially gives every chance to the young, as evidenced by its massive VIE recruitment. 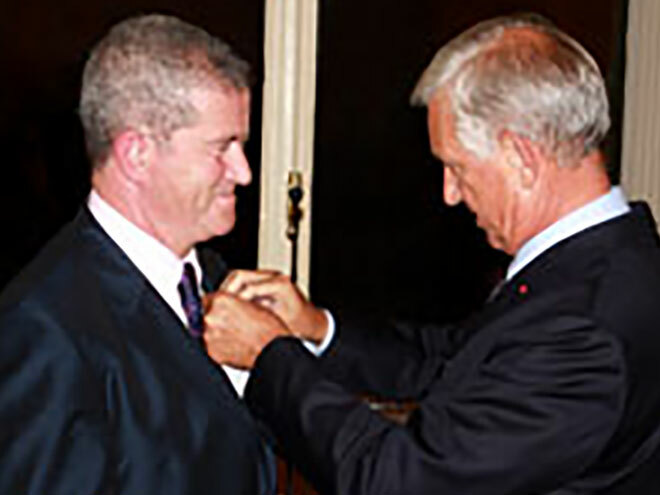 With an Engineering degree from Ecole Nationale Supérieure des Industries Chimiques of Nancy, France (ENSIC), Alain Taieb was CEO of AGS for nearly twenty years before succeeding his father, Andre Taieb, founder of the Group, as President. He spearheaded the development of AGS abroad from the early ‘90s, while expanding through internal and external growth as well as other activities related to business services (secure storage, record management, relocation services). 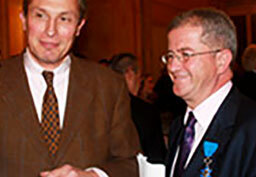 Alain Taieb is deeply involved in organisations that promote development in Africa. He is Vice-President of the Africa Committee of the National Council of Advisors of Foreign Trade of France, director of the Council of French Investors in Africa (CIAN) and a very active member of the MEDEF International.